Age: The domain is 20 years and 0 months old. Vision Service Plan California is the location of the Apache-Coyote/1 server. 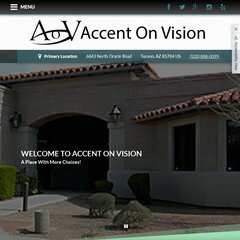 Accentonvision.com's server IP number is 198.135.203.124. Its 2 nameservers are ns09.domaincontrol.com, and ns10.domaincontrol.com. PING (198.135.203.124) 56(84) bytes of data. A ping to the server is timed at 53.0 ms.